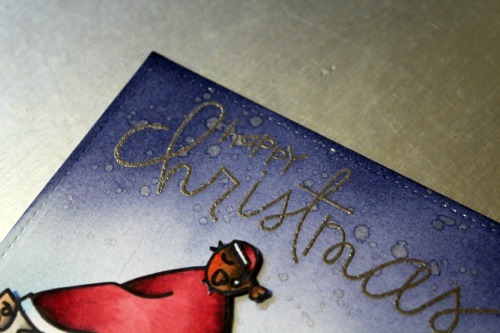 I'm still making my Christmas cards and today I reach for some paper smooches stamps. I still haven't got a Santa stamp can you believe that? So i had to use Jerome the gnome from paper smooches instead. I have kept this very simple as I'm planning on making a few. I made the background using a Lawn fawn stitched rectangle die and some distress inks. My favourite mix at the moment is peacock feathers and chipped sapphire. I have Jerome as a single stamp but he is now available in the forest whimsey set. He is coloured with copics to look like Santa and then fussy cut. The robin and snowman are both from swanky snowdudes and again coloured with copics and fussy cut. They are all adhered on foam tape. 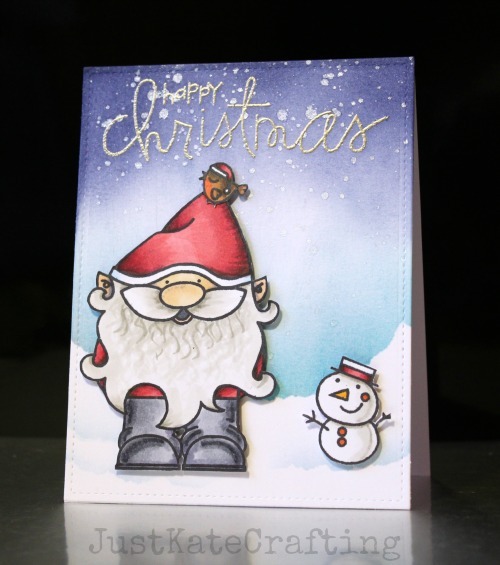 The sentiment from joyful greetings is heat embossed in platinum. 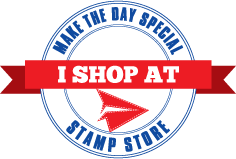 Click the images to go directly to them in store.